Visit the official I, Norton website. "At the request of the citizens of these United States, I, Joshua Norton declare myself Emperor." So began the proclamation by which Joshua Norton, on September 17, 1859, became Norton I, Emperor of the United States and Protector of Mexico. The first of many proclamations, it was published nearly 10 years after Norton landed in San Francisco to make his fortune from the Gold Rush. During his 20-year reign, Norton I abolished Congress, decreed a bridge be built between Oakland and San Francisco, enjoyed free passage by rail and ship, printed and used his own money, and corresponded with kings, queens, and presidents. Among the literary works to immortalize Norton I are Mark Twain's Huckleberry Finn and Robert Louis Stevenson's The Wrecker. Yet few people remember the one and only Emperor of the United States. Dramatically, the work takes place as the Emperor lay dying on a rain-soaked street. At that precise moment, time is suspended and his life's events pass before his eyes. The result is an opera that is rich in symbolism and metaphor. Not surprisingly, I, Norton also carries a political subtext that resonates with current geo-political situations. I, Norton was created as a kit that could be performed by any number of people and assembled in a unique way for each performance. The literary elements behind the work are the writings attributed to Norton I, as well as mocking "false decrees" published in contemporary newspapers to cash in on the Emperor's notoriety. The words, letters, rhythms, and structure of the texts are prepared in a variety of ways and used as source material by each performer. In performance, I, Norton takes the shape of an improvised collage structure that combines conduction (using hand cues), graphic scores, and memory-based improvisational structures. The opera can be performed by a mere handful of people, or with a large ensemble. Although the score includes text-based material for speakers and singers, a realization of the opera can be completely instrumental. The piece does not require staging, sets, lights, or costumes. It is meant to be performed anywhere, anytime: A "mobile guerrilla anti-opera," if you will. The work was inspired by a variety of operatic forms and improvisational approaches including Chinese opera; Indonesian wayang kulit shadow puppetry; Fluxus and Dada; the operas of Tom Phillips, Robert Ashley, John Cage, and Anthony Braxton; and aspects of the work of Cornelius Cardew, the ROVA Saxophone Quartet, John Zorn, Frank Zappa, and Sun Ra. 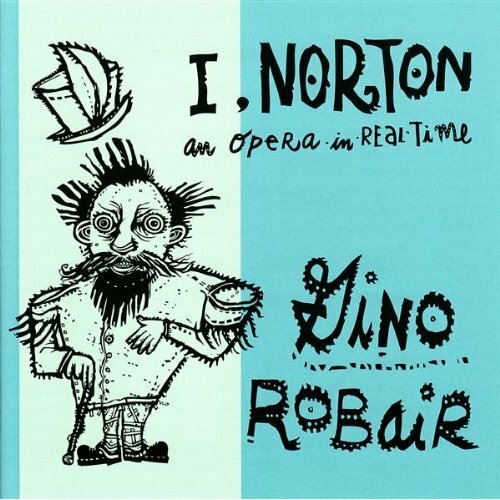 Selections from I, Norton have been performed in Milan, Palermo, San Francisco, Tokyo, Seattle, Miami, St. Louis, Detroit, Chicago, Pittsburgh, and Chattanooga, Tennessee. In addition, the ROVA Saxophone Quartet performed a reduced version of the piece during recent tours of Europe and North America.